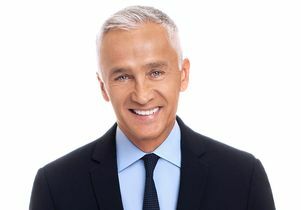 Jorge Ramos, the longtime host of Univision Noticias’ evening news and its Sunday newsmagazine “Al Punto,” will speak at UCLA and will receive the UCLA Medal, the campus’s highest honor. Ramos’ speech is part of the Meyer and Renee Luskin Lecture Series, presented by the UCLA Luskin School of Public Affairs. A pivotal figure in the American Latino community, Ramos has more than 30 years of experience producing engaging and informative reporting and an unwavering dedication to advancing the rights of marginalized communities. He will receive the UCLA Medal in recognition of his achievements in journalism and his advocacy for Latino and immigrant communities. The award will be presented by UCLA Chancellor Gene Block. Following the medal presentation, Ramos will participate in a discussion with Eric Avila, UCLA professor of Chicana/o studies, history and urban planning; and Laura Gómez, UCLA professor of law. Journalists must register through the media contact (above). A wristband will be required for entry to the lecture.